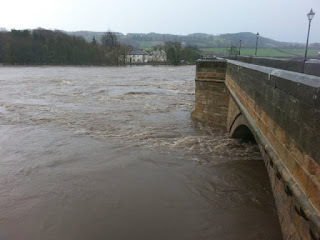 In recent years we have seen how flooding has the potential to destroy our homes, businesses and communities. It is therefore fantastic news that the Environment Agency has launched a campaign to teach businesses how to prepare for future flooding. More than 700 businesses in the region have already been contacted by Flood Resilience Community Engagement Officers from the scheme. Some of the advice being offered to businesses includes checking their flood risk, ensuring they have the right insurance, writing a flood plan and investing in flood protection measures. 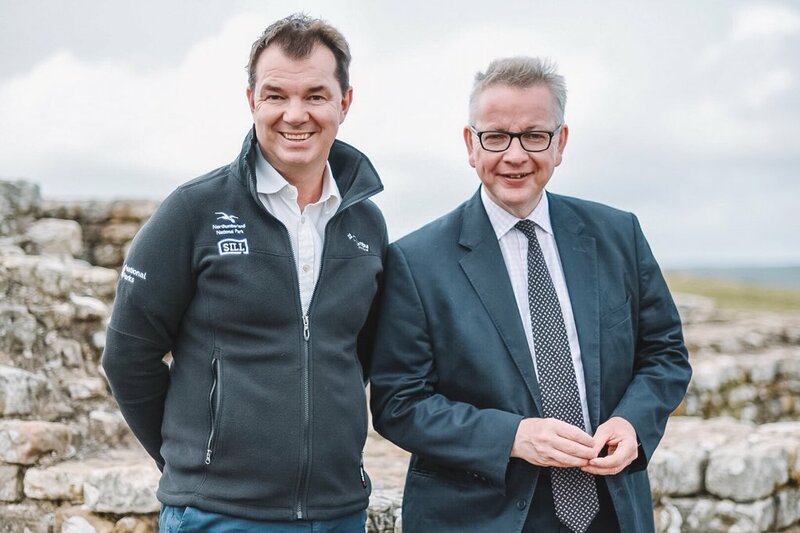 Flooding really can devastate our communities, and so I welcome the Environment Agency’s move to help support businesses to protect themselves from future flooding. 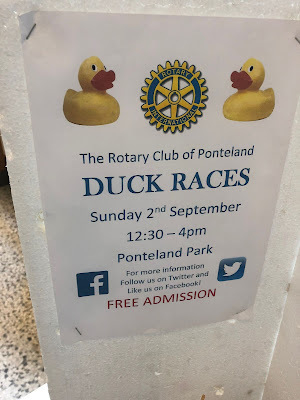 It’s always a highlight of the Rotary Club of Ponteland calendar, and this Sunday (2nd September, 1.30-4.30pm) the Annual Duck Race is back! A series of duck and boat races, including a children’s boat race where children are invited to make their own boats to enter, are just part of the fun- there will also be stalls, rides, a bouncy slide, a magician and more. 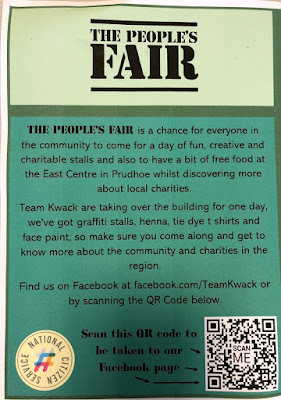 A fun family-day out, whilst raising money for good causes- make sure to put it in your diary! 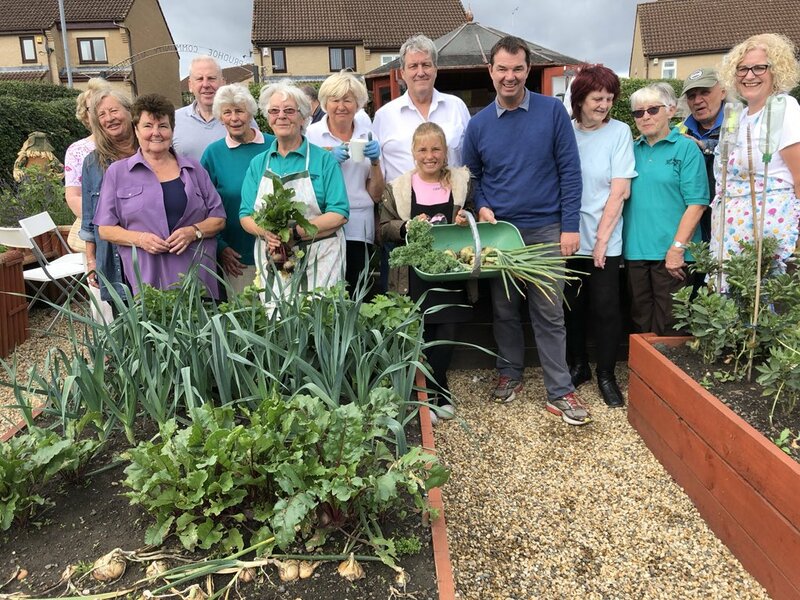 I had a great day at the Prudhoe Allotment Open Day, meeting some of the volunteers that work so hard to make the allotment such a brilliant part of the Prudhoe community. The allotment is used by people of all gardening abilities- beds and plots are available to rent. It is a really welcoming and friendly place, with a fantastic community atmosphere, so I would encourage any gardening enthusiasts to get involved. It’s just over a week until this year’s BAAFest begins (Bellingham All Acoustic Music Festival). Running from 7th-9thSeptember, the Festival is a weekend of live music set in the North Tyne Valley. 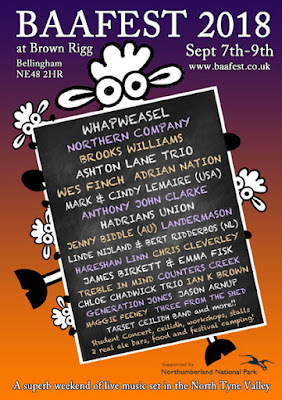 With both local and international performers, as well as stalls, workshops, two real ale bars, food and festival camping, I would encourage all music lovers to head along to BAAFest next weekend for an unforgettable few days. Next Friday (31stAugust) is Positive Twitter Day. Sadly Twitter is too often an unpleasant place, and no one should have to endure horrible and abusive comments on a site that should be a place where we can exchange opinions and enter into debate in a civil and respectful manner. 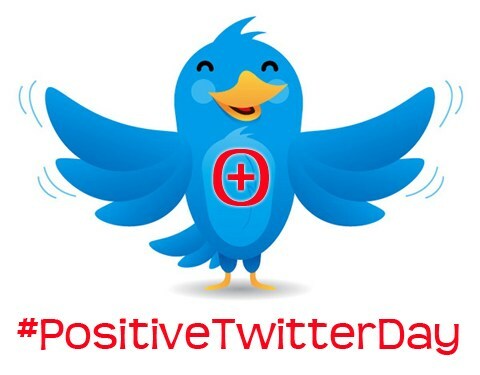 That’s why I am supporting Positive Twitter Day- next Friday let’s all try to be nice to each other when we tweet. You never know- maybe we could then do it more often! Make sure you don’t miss out on the Tyne Valley Art Fair- taking place today! 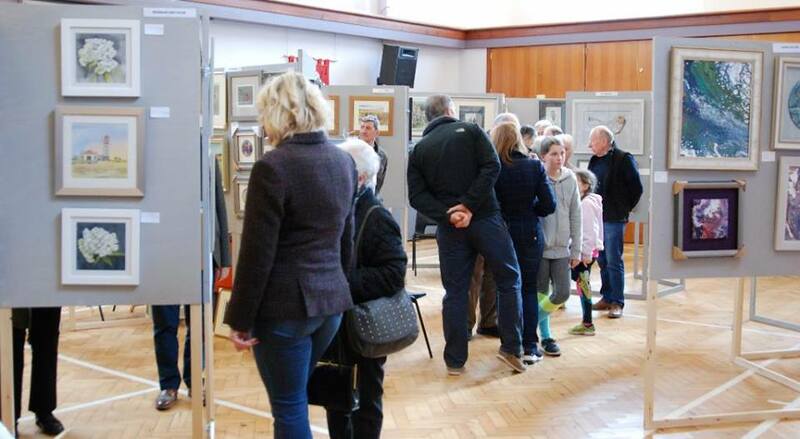 From 10.30am-4pm at Trinity Church Hall, Beaumont Street, Hexham, there will be lots of local art on display, giving you the chance to meet and support talented local artists. 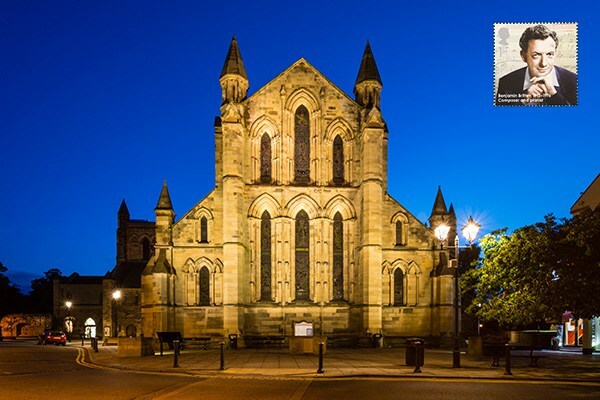 A great way to start your Bank Holiday weekend if you’re in the Hexham area! Yesterday was GCSE results day, and I would like to congratulate everyone celebrating seeing their hard work over the past year pay off. 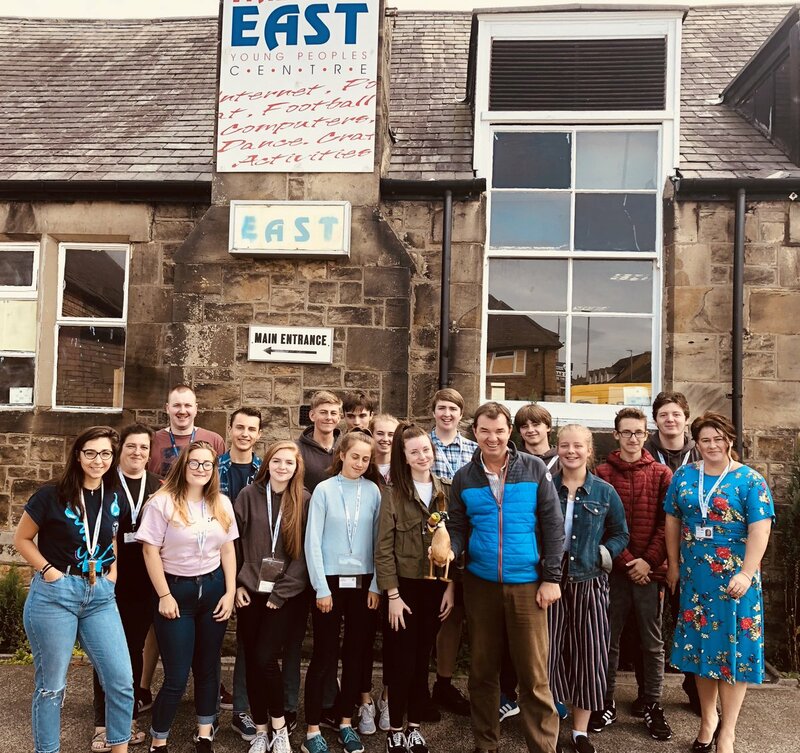 It is really encouraging to see that the percentage of students achieving a good pass (Grades 9 to 5) in Northumberland has increased this year, with results also showing an increase in overall Attainment 8, the students’ average achievement across eight subjects, and 5+ in English and Maths. I am delighted that we have seen such a strong set of results across Northumberland- I am passionate about ensuring that everyone gets the best possible education and this is a great reflection of the positive state of schools in our local area. Congratulations to all students, parents and teachers who have all worked so hard- you all deserve to celebrate now! 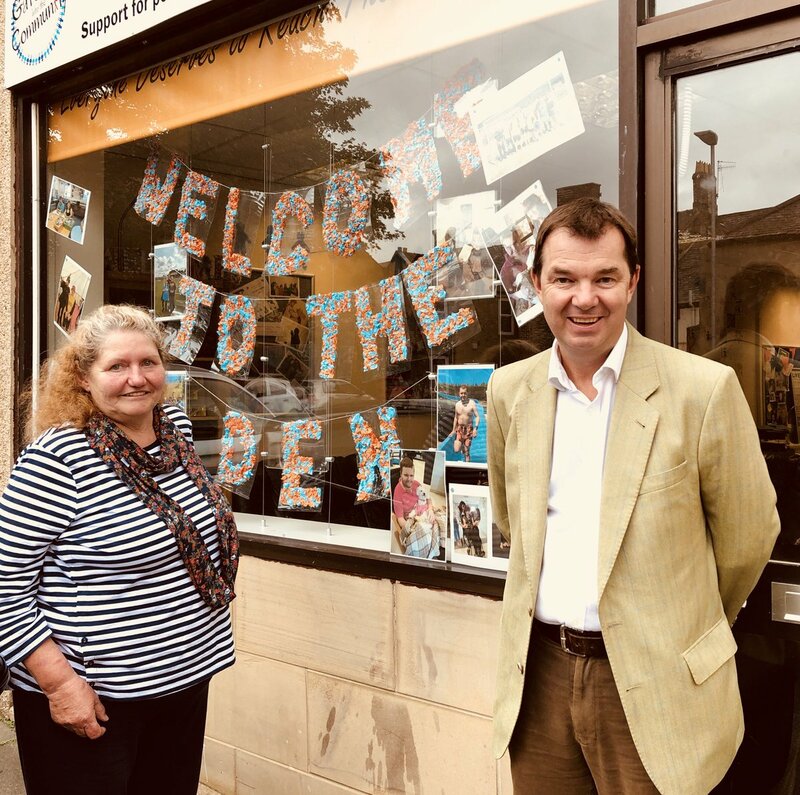 I recently had a very special afternoon meeting everyone at Gateway to the Community, where I had the pleasure of being shown around by Fiona. Gateway to the Community is a brilliant charity working with people throughout West Northumberland who have learning disabilities to provide leisure and learning opportunities. The charity helps members to know what activities and courses are taking place in their communities and works with other organisations to ensure that the inclusion of people with a learning disability is mutually enjoyable and beneficial. Members include a wide range of ages, from young people in their teens through to people who are enjoying their retirement. 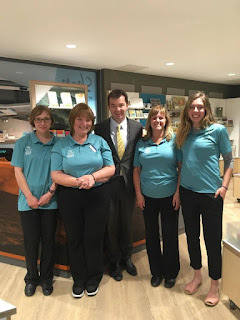 I really enjoyed my visit to Gateway in the Community, and it was great to meet everyone. 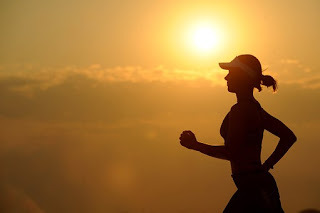 The charity provides an invaluable local service, changing lives and providing support- it always needs more volunteers and support though, so please do contact them and get involved. Tynedale and Ponteland’s best small shops are being invited to enter the 2018 Best Small Shops Competition. The competition was launched to promote small shops and the role they play in local communities, with entrants judged on their shops entrepreneurial activities, their impact within the community and innovation in their business. The final will be held in Parliament in November. 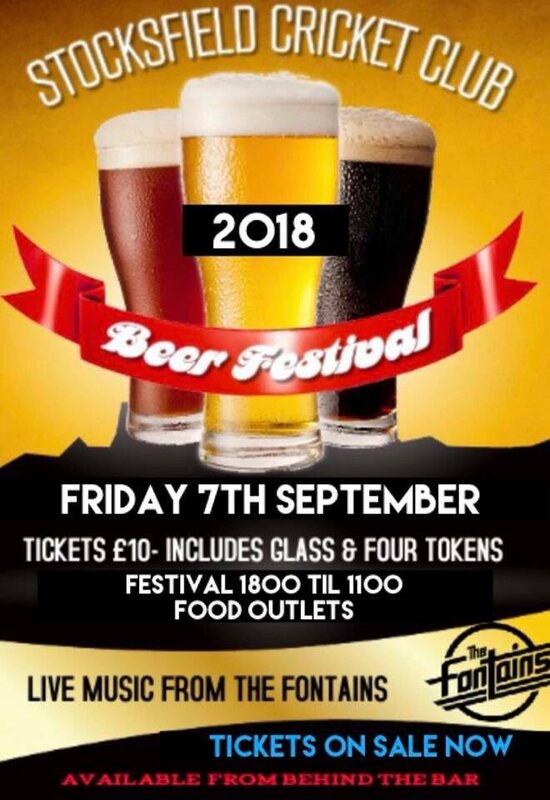 You can now buy your tickets for Stocksfield Cricket Club’s 2018 Beer Festival, which takes place on Friday 7thSeptember. A marquee will be there with beer, ales, ciders, a gin and prosecco bar, food and a live band. You can buy your tickets for £10 each at the Cricket Club’s Clubhouse- it looks set to be a great event and the perfect way to kick off your weekend! 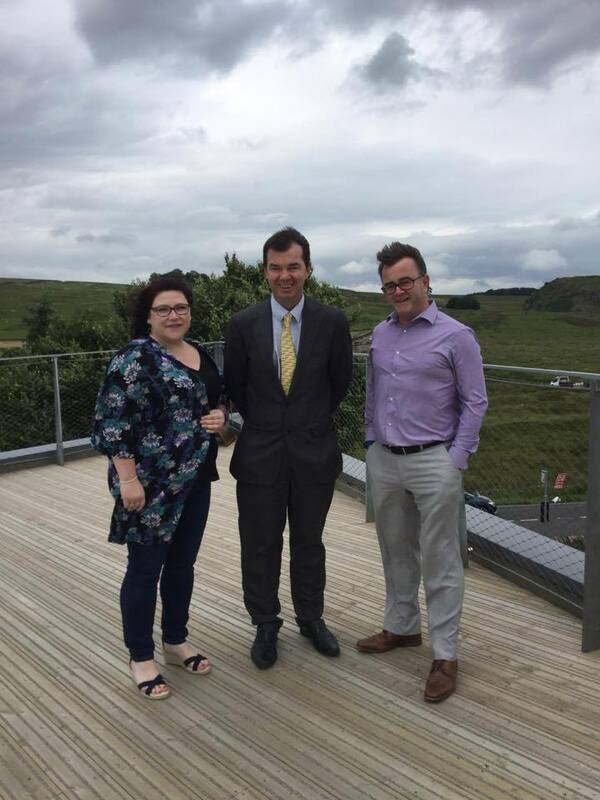 This week it was announced that unemployment has almost halved (48%) across Tynedale and Ponteland since 2010, meaning more jobs for our local area. This is hugely encouraging news, making an enormous difference to the lives of local people. Paddy Power/Betfair's grassroots sports funding program Cash-4-Clubs is now open for applications. The program gives sports clubs the chance to apply for grants to improve facilities, purchase new equipment or gain coaching qualifications to help invest in the long-term sustainability of their club. We already know that Northumberland is home to so many excellent pubs and restaurants, as was proved last year with the success of The Rat Inn’s Kevin MacLean, who was named as Parliamentary Pub Chef of the Year, and of Corbridge’s The Valley, named as a finalist of the 2018 Tiffin Cup. The success keeps on coming though, as The Boathouse in Wylam has been named as one of the top 10 pubs in the UK. Commended on the quality of its beers and events, including its Bank Holiday beer festivals, this is just the latest accolade for The Boathouse. 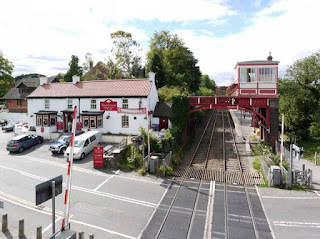 The pub has previously been named as the CAMRA Pub of the year, one of 15 CAMRA awards they have won over the years. One of Northumberland’s best attractions is celebrating its first anniversary. Just over 12 months ago The Sill National Landscape Discovery Centre opened for the first time, and since then more than 170,000 people have visited. Around this time last year I visited The Sill for the first time to have a first look around the fantastic new facility and meet staff and the people working hard to make the opening a success. Since then I have visited several times, most recently with the Environment Secretary Michael Gove. 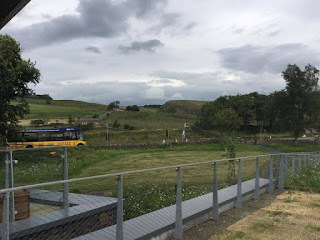 Designed to blend in with the landscape surrounding it, allowing visitors to engage with the beautiful landscape of our National Park, a highlight of The Sill is definitely its grassland roof, giving panoramic views in all directions from the viewing platform. Facilities also include interactive exhibits, learning rooms for educational groups, a youth hostel and a café with locally sourced food. A brilliant facility that we should be very proud of, The Sill has had a great first year and I am sure will only get more successful. Happy Anniversary to everyone at The Sill! 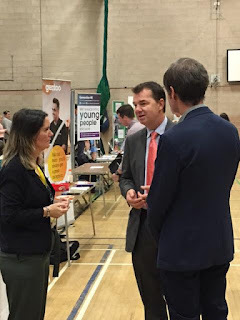 2018 Tynedale Jobs Fair- top employers confirmed to attend! It’s not long now until my 2018 Tynedale Jobs Fair, and with four of the area’s biggest employers confirmed to attend, it’s the perfect event if you’re looking for work or for a change of direction. 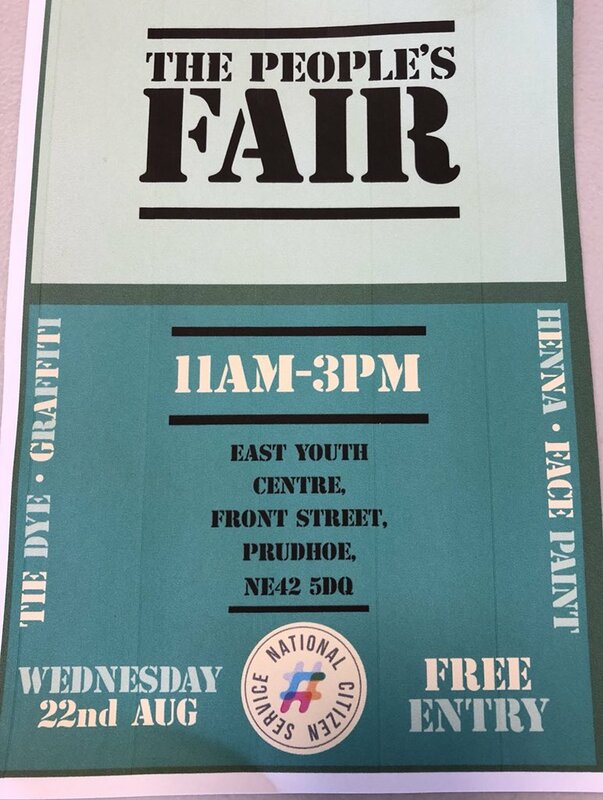 Sponsored by Northumberland County Council and Thompsons of Prudhoe, the 2018 Tynedale Jobs Fair takes place on Friday 7th September, 10am-2.30pm at Wentworth Leisure Centre, Hexham. I hope to see you there! 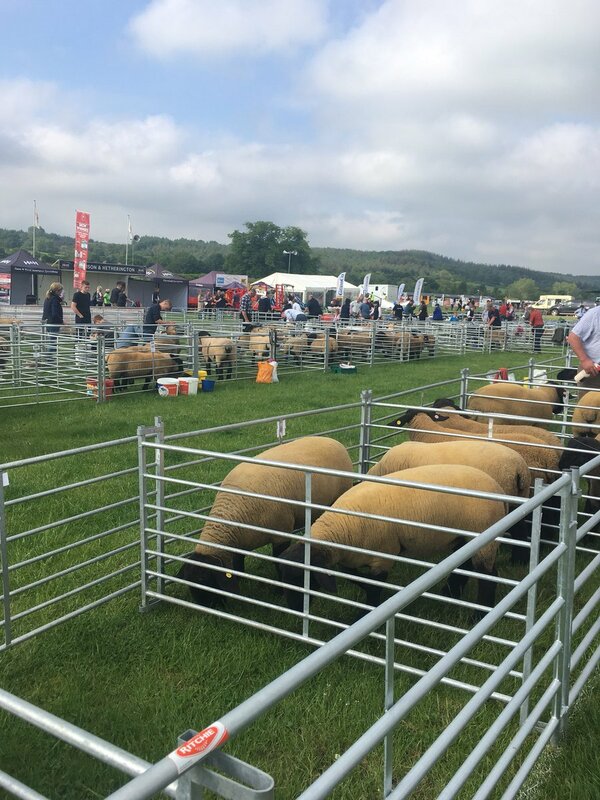 A reminder that this Saturday- 11th August- the 2018 Slaley Show is taking place. 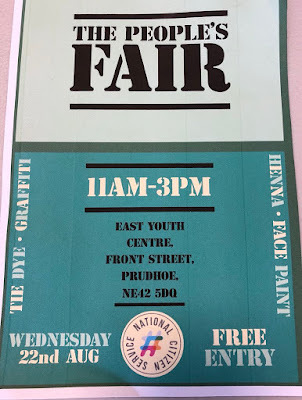 The Show is always a real highlight of the summer period, and this year looks set to be no different, with a huge range of activities planned for all ages. Local food producers, crafts, vintage tractors, horses, sheep, dogs, terrier racing, flowers, vegetables and fairground games are just a few examples of the fun to be had. 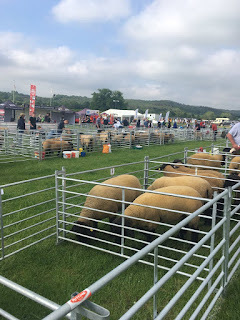 A great local show with so much history- the Slaley Show was first held in 1845-, Slaley’s the place to be this weekend! Congratulations to everyone at Hexham First School- they have been awarded £10,000 by the Big Lottery Fund to build an Early Years outdoor area. 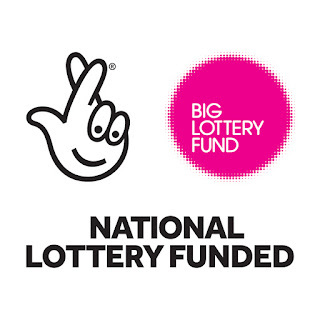 The Big Lottery Fund ensures that the money raised by players of The National Lottery goes back to communities to help them thrive and achieve their ambitions. Well done to everyone at Hexham First School for helping to make this happen, especially to Jo Shepherd for leading the fund-raising and to Councillor Cath Homer. It sounds like the new outdoor area will be great! I would like to offer my congratulations to Stocksfield’s PC Victoria Threadgold and PC Gary Sharpe, who have received the North-East regional award at the National Police Bravery Awards. They were recognised for their actions in an incident in February 2016 when they were called to a domestic violence incident and were threatened with an imitation firearm. Everyday members of the Police risk their lives to protect us, and it is wonderful to see PC Threadgold and PC Sharpe recognised for their bravery. These shows are always a highlight of the summer and make for a great day out, so put the dates in your diary now!